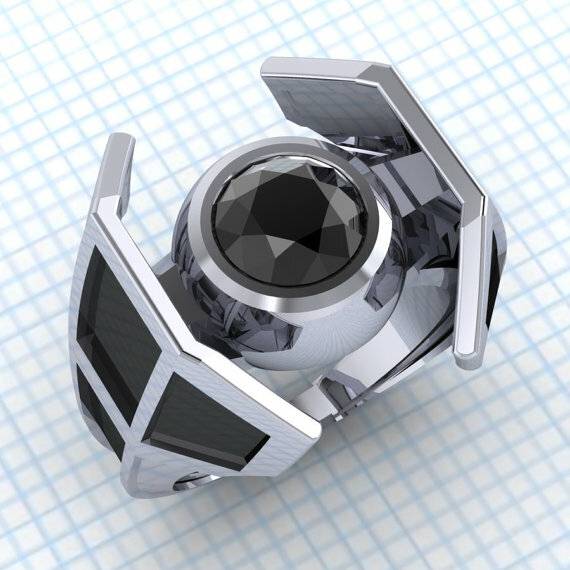 Paul Michael Design has been making awesome geeky jewellery designs since 2009. 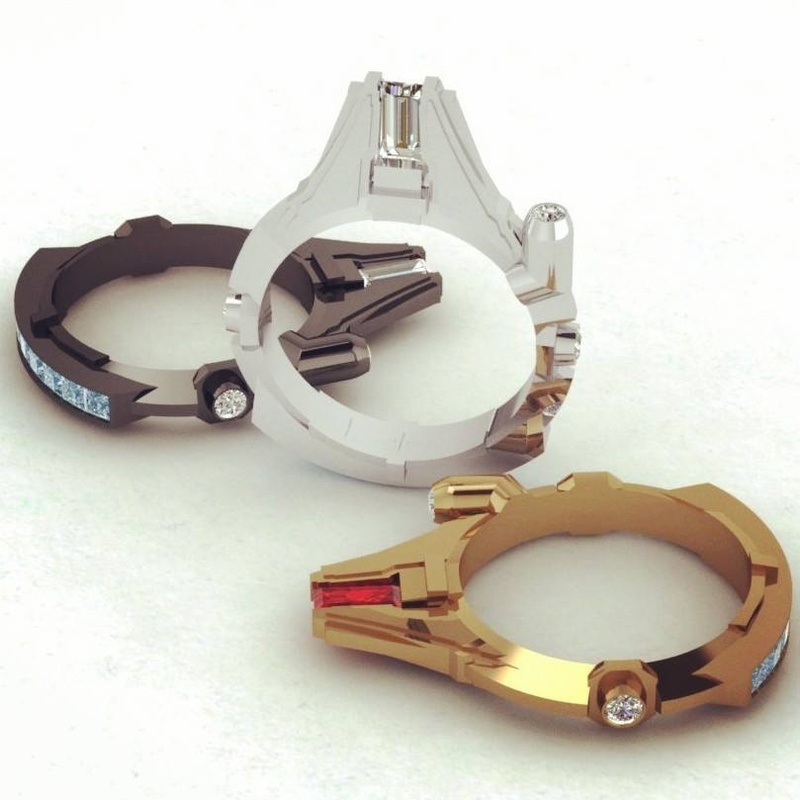 These Millennium Falcon Rings by Paul Michael Design have just shown up on Facebook and they are awesome. Be warned, they will not be cheap. The rings aren’t priced from £606.49. Thanks to Amy Ratcliffe at Fashionably Geek for the heads up. 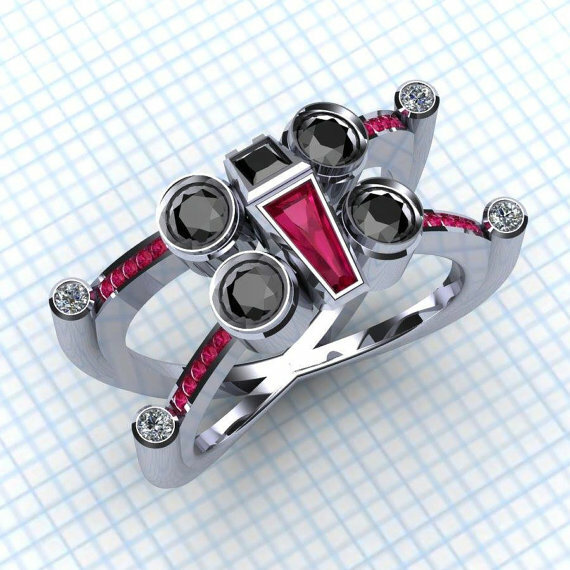 Here’s a photo of his X-Wing and Tie Fighter rings. This entry was posted in Art, Jewelry, Things that i don't have yet... and tagged Art, Millenium Falcon, Millennium Falcon, PaulMichaelDesign, Star Wars. Bookmark the permalink.